The Working Forest is the national newspaper for those who work in Canada’s forests. For 2018, the paper has been re-designed and re-focused with an emphasis on analysis, commentary and in-depth coverage of the issues that affect the future of the forest products industry. 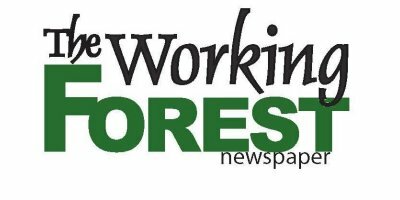 With eight print editions and a bi-weekly newsletter, The Working Forest provides up-to-date and comprehensive coverage of the news and trends that matter to readers in the forest products sector. The Working Forest newspaper was established by Judy Skidmore in November 1997. As part of the publication’s evolution, we offer a twice weekly forest industry news e-letter delivered every Monday and Thursday morning to thousands of inboxes across Canada and the US. The Working Forest newspaper was established by Judy Skidmore in November 1997 to provide news information for and about the Canadian forest industry. Since then, the distribution of the newspaper has grown across Canada with the main focus continuing to be on the Canadian forest sector. As part of the publication’s evolution, we offer a twice weekly forest industry news e-letter delivered every Monday and Thursday morning to thousands of inboxes across Canada and the US. The Working Forest newspaper was established by Judy Skidmore in November 1997.